For the 2nd time, I ran the RUPM last October 4, 2015. There were four of us from Puro Tri Triathlon Team running the 42K. 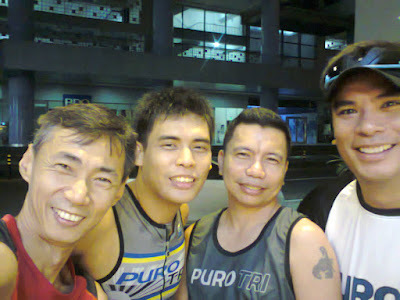 The starting line was a long walk from my hotel room at Microtel MOA, it was a good warm up though. 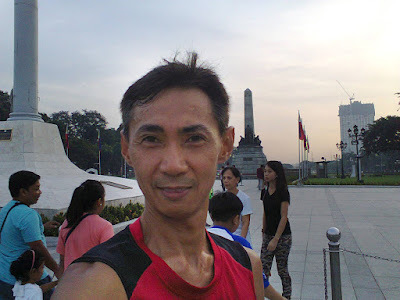 I had a right quad problem just days before the marathon and my last long run was on the month of August during the Milo 21K, in fact all of my training runs were from 20 to 40 minutes, so I wasn't expecting too much. The four of us started side by side but soon we got separated. The course was easy and flat. The weather was fine and the early start made it even easier to run. There were approximately 3,000 marathoners all hoping for a strong finish. The hydration stations were more than enough and I saw some stations with bananas being offered. 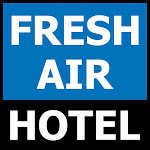 For the first time ever in my experience, the post race venue was airconditioned. 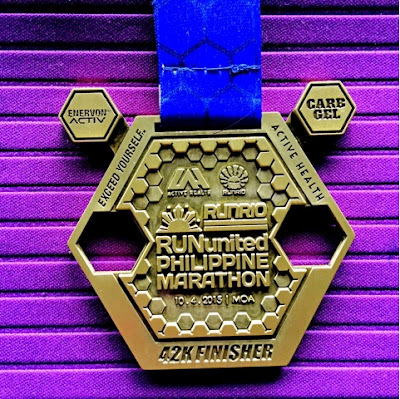 I ran the first 22 kilometers conservatively, walking at some points of the route until I decided to just run the remaining 20K and see if my right quad will hold up. I had a good run until the 38th kilometer where I felt some pain on my right leg. I finished in 4:56. I saw Chad, a triathlete from my age group, at the winners' holding area. Apparently he finished 3rd among foreign runners. We had a long chat catching up with our own race adventures and experiences. 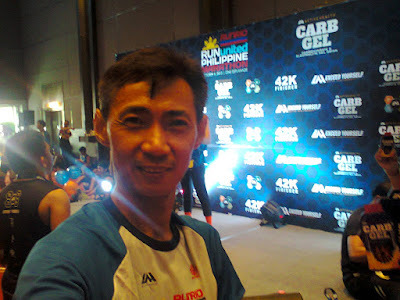 When I went inside the airconditioned Esplanade there was already a short line building up for the finisher photo and shirt. 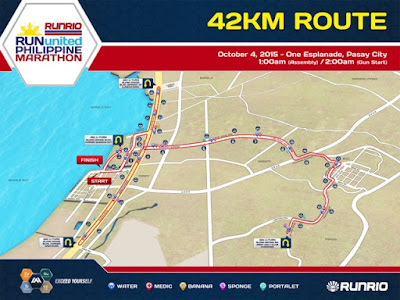 I was glad to run this event but if I had known Subaru Marathon would be around the same date I might not register here not because of any gripe but just so I could run a different marathon. Just like any fun run the one thing I complain about is that the sheer number of runners made it impossible to start at or near the front. If you're like me, dreaming of running under 3:30 ;), I guess it would be nice for the organizers to allow some runners a seeded start. But regarding how RUPM was organized I can't think of any reason to not experience it. This marathon could very well be the most organized one in Manila.